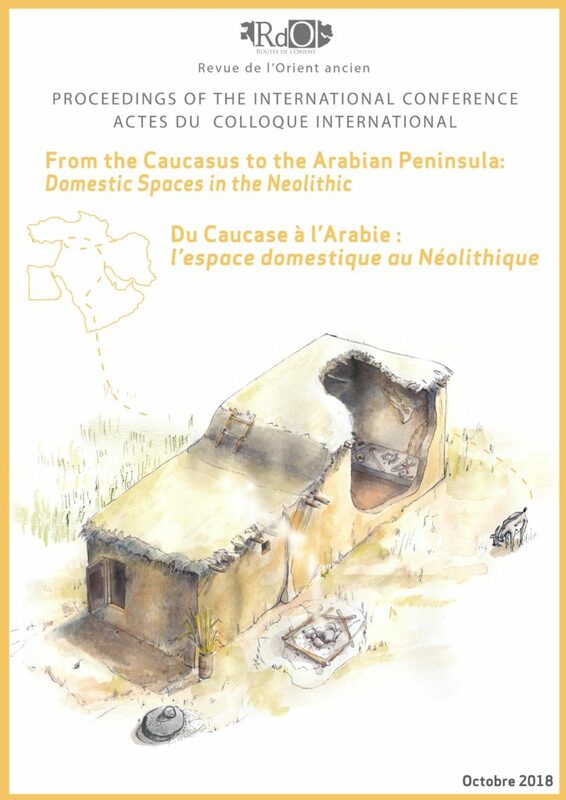 articles, Aegyptus has been started. Now all this is at an early stage. Twenty years ago, when I started working in Egypt as an epigrapher, I wasn’t given too many guidelines regarding how to do the best job when documenting a painted tomb. Our Hungarian project leader wanted to have the most detailed, most faithful, most informative, and most complete documentation that was accessible to everyone, while useful for an art historian (or for that matter any person with a general interest) just as much as it was for us, scholars. In 1998 personal computers were already mainstream but were scarcely used in my field of interest – drawings were created facsimile, most often copied directly from the walls by using transparent material that was directly attached onto the decorative surface. I remember admiring the Epigraphic Survey (Chicago House, Oriental Institute, University of Chicago) for its alternate methods and precision, but I also remember thinking that I’ll never have the resources to implement their technique in my personal projects. With no experience whatsoever, I did what I thought was best: pulled out large sheets of transparent paper and hand-copied every bits and traces of pigment I could find on the wall. The results were regular penciled drawings including painted outlines, damaged areas, traces of preliminary sketches, and labels for each and every color on the wall. Hundreds and hundreds of identical transparent sheets would be filled with information in the next ten years..
Artiklerne findes i indholdsfor-tegnelsen for de enkelte bind, hvorefter de downloades eller læses direkte. Hvis man har fast opkobling kan det være lettere at læse filerne med et Acrobat Reader plug-in. Hvis man derimod er koblet op med et modem og gerne vil spare på telefonregningen, er det mere hensigtsmæssigt at downloade (save as) og så lukke telefonen. Artikler osv i AIGIS ligger i pdf (portable document format) som tillader græske bogstaver, billeder og fast lay-out med, så man kan henvise til sidenummer i artiklerne. Det er nødvendigt at man har det gratis program Acrobat Reader 6 eller nyere (8) der kan læse artiklerne, printe dem ud, søge i dem eller, hvis man vil, uddrage enkelte passager til brug i egne filer. Hent programmet på Adobe's hjemmeside. Hvis man vil være sikker på at få fremtidige færdige numre af AIGIS 'leveret' så snart det udkommer, kan man melde sig til AIGIS-postlisten via KU's Listserver. Men man kan naturligvis også komme til AIGIS uden at være fast abonnent. Man kan også sende e-post til redaktionen - selvfølgelig helst med ros og bidrag til kommende numre. Bidrag kan sendes per attachment i alle gængse tekstbehandlings-systemer, allerbedst i rtf (Rich Text Format). Græsk må gerne være skrevet i GreekKeys (Kadmos, Athe-nian, el. lign. ), så slipper vi for at skrive det om. Allerbedst er Unicode. Disse systemer er brugbare både på Mac og PC. Undgå venligst Wingreek, Son of Wingreek og WordPerfect græsk som kun fungerer på PC. Billeder leveres indscannet i jpeg. Medinet Habu, Volume I. Earlier Historical Records of Ramses III. By the Epigraphic Survey. Originally published in 1930. Medinet Habu, Volume II. The Later Historical Records of Ramses III. The Epigraphic Survey. Originally published in 1932. Medinet Habu, Volume III. The Calendar, the “Slaughterhouse,” and Minor Records of Ramses III. By the Epigraphic Survey. Originally published in 1934. The Excavation of Medinet Habu, Volume IV. The Mortuary Temple of Ramses III, Part II. By Uvo Hölscher. With contributions by Rudolf Anthes. Originally published in 1951. Medinet Habu, Volume V. The Temple Proper, Part I: The Portico, the Treasury, and Chapels Adjoining the First Hypostyle Hall with Marginal Material from the Forecourts. By the Epigraphic Survey. Originally published in 1957. Medinet Habu, Volume VI. The Temple Proper, Part II: The Re Chapel, the Royal Mortuary Complex, and Adjacent Rooms with Miscellaneous Material from the Pylons, the Forecourts, and the First Hypostyle Hall. By The Epigraphic Survey. Originally published in 1963. Medinet Habu, Vol. VII: The Temple Proper, Pt. III: The Third Hypostyle Hall and All Rooms Accessible from It with Friezes of Scenes from the Roof Terraces and Exterior Walls of the Temple. The Epigraphic Survey. Originally published in 1964. Medinet Habu, VIII: The Eastern High Gate with Translations of Texts. The Epigraphic Survey. 1970. Medinet Habu IX. The Eighteenth Dynasty Temple, Part I: The Inner Sanctuaries. With Translations of Texts, Commentary, and Glossary.By The Epigraphic Survey. 2009. The Excavation of Medinet Habu, Volume 1: General Plans and Views. 1934 Uvo Hölscher. Medinet Habu 1928-29. Part 1: The Architectural Survey. By Uvo Hölscher Part 2: The Language of the Historical Texts Commemorating Ramses III. By John A. Wilson Originally published in 1930. Medinet Habu 1924-28. Part 1: The Epigraphic Survey of the Great Temple of Medinet Habu (Seasons 1924-25 To 1927-28). By Harold H. Nelson, Part 2: The Architectural Survey of the Great Temple and Palace of Medinet Habu (Season 1927-28). By Uvo Hölscher. Medinet Habu Reports – Third Preliminary Report. Part 1. 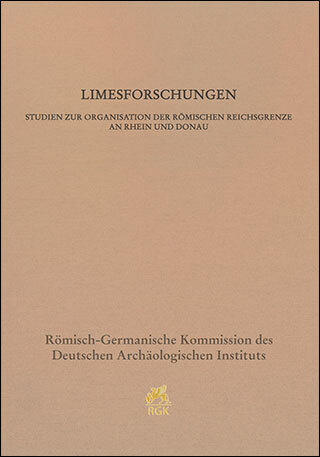 The Epigraphic Survey, 1928-31. By Harold H. Nelson Part 2. The Architectural Survey, 1929/30. By Uvo Hölscher Originally published in 1931. Baked Clay Figurines and Votive Beds from Medinet Habu. Emily Teeter. 2010. Scarabs, Scaraboids, Seals, and Seal Impressions from Medinet Habu. Emily Teeter. 2003. Demotic Ostraca from Medinet Habu. By Miriam Lichtheim. Originally published in 1957. Medinet Habu Graffiti: Facsimiles. Edited by William F. Edgerton. Originally published in 1937. Wall Scenes from the Mortuary Chapel of the Mayor Paser at Medinet Habu. By Siegfried Schott. Translated By Elizabeth B. Hauser. Originally published in 1957. Historical Records of Ramses III: The Texts in Medinet Habu Volumes 1 and 2. Translated With Explanatory Notes. By William F. Edgerton and John A. Wilson. Originally published in 1936. 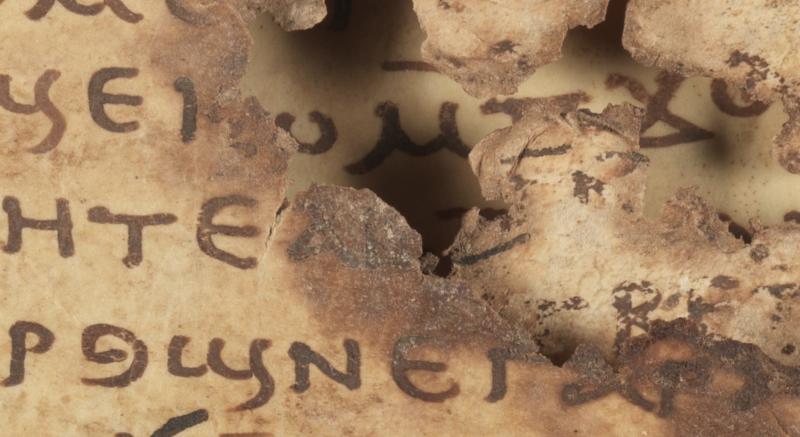 Newly added to Orbis Biblicus et Orientalis, Series Archaeologica Online. There are 29 volumes of this series now online open access. Giveon, Raphael (1985). Egyptian Scarabs from Western Asia from the Collections of the British Museum. Freiburg, Switzerland / Göttingen, Germany: Universitätsverlag / Vandenhoeck & Ruprecht. An intact lamp and several lamp fragments were found within fills which were part of the Herodian city dump or were brought to the site to level the area for the erection of the circus. The oil lamps date to the Early Roman period, indicating that the construction of the Eastern Circus (Stratum III) was initiated not earlier than the beginning of the second century CE, corresponding to the date of the pottery and the coins. 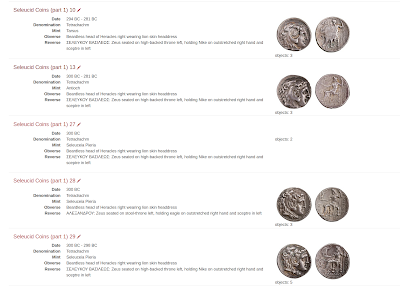 The Database of Byzantine Book Epigrams (DBBE) is an ongoing project that makes available textual and contextual data of book epigrams (or: metrical paratexts) from medieval Greek manuscripts (seventh to fifteenth century). We define book epigrams as poems in books and on books: their subject is the very manuscript in which they are found. They record, react to, or motivate the production, the contents and the use of the book. Further explanation of this definition is to be found on the Help page. offer reliable editions that respect the uniqueness of each specific manuscript. epigrams as they occur in one specific manuscript. The data collected here is mainly derived from descriptive catalogues as well as other related publications (such as articles, editions etc). In certain cases it is the result of manuscript consultation conducted by members of our team. corrected versions of the poems, often regrouping several similar occurrences. This part of the database is still very provisional. The types are meant to evolve into a corpus of editions over the next years. manuscript identifications are given according to city, library, name of the collection, shelf nr. : it basically follows the system of the Pinakes database. A beta version of the database has been released on 1 September, 2015. Please, bear in mind that this version is still work in progress. All users are invited to send their feedback with corrections, suggestions etc. at: dbbe@ugent.be. We are keen for DBBE to be used in the widest possible range of educational and research contexts. For information on how to cite or refer to DBBE, see the Help page.